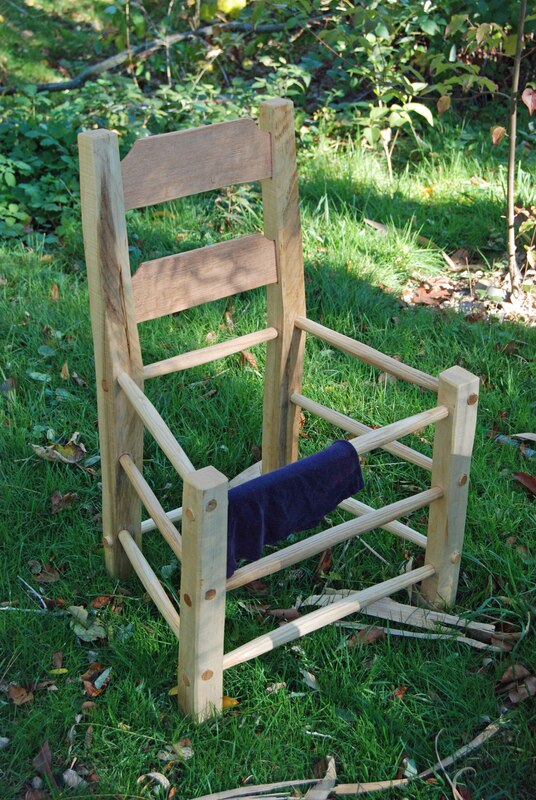 I have another chair to make, like this one. I thought I photographed this one with its rush seat, but I can’t find it. People often ask “where can I get green wood?” – one thing I tell them is for short lengths/small projects, check with firewood dealers/tree cutters…we’re home-schooling our kids this year, but they attend a 2-day program about a 15-minute drive from here. On the way is a yard where some tree folks cut & split their firewood. I stopped today, needing some maple for the next chair. 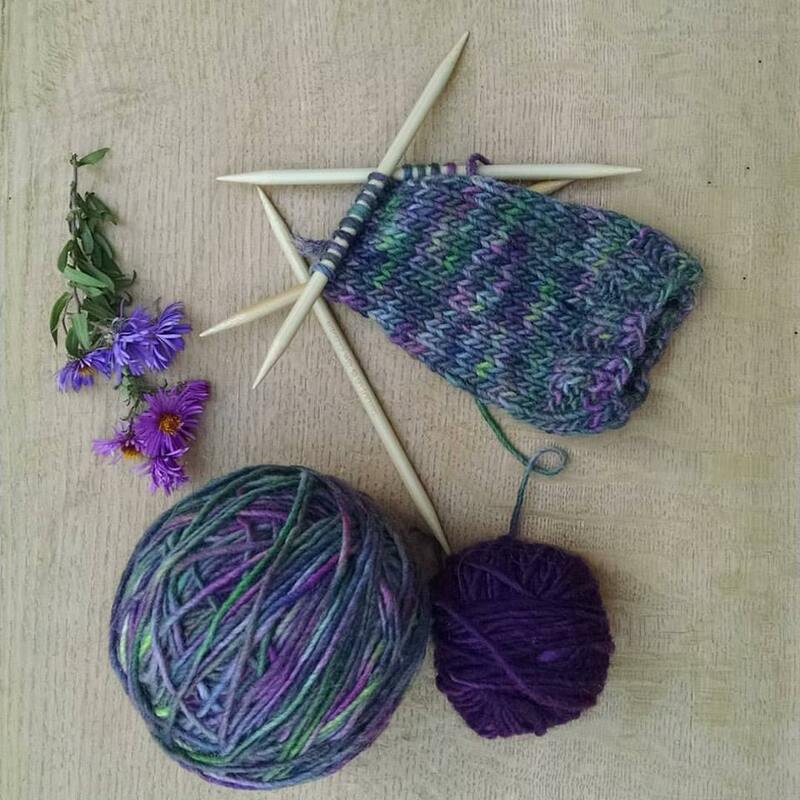 Maple doesn’t store well as a log, you gotta use it up quickly, so I never have it on hand. I found a very helpful fellow in this yard, explained what I needed & why, we looked over the newest pile, picked one out, he crosscut it to about 3 1/2 feet, loaded it in the car & away I went. I hate shopping. Avoid it like the plague. But this was a great shopping experience – 10 minutes, 20 dollars – we both were happy. I saw lots of other nice wood for small stuff – bowls, spoons & more. I’m all set for much of that sort of thing right now…but I’ll be back when things run low. A lot of tree companies don’t want to deal with amateurs so it is a good idea to show up with some serious looking equipment: I often suggest a hard hat and a good pair of steel toed boots, some serious axes and froes. A sledgehammer and a couple of mallets—and a good chainsaw. I would only add that having hold equivalent of about four Oak trees at this point it can be exhausting and dangerous. Recently a tree crew fellow had a log roll over on him and crush him. Green Wood is *very* heavy and despite the enjoyment of this stuff that sobering fact should never be put out of mind. 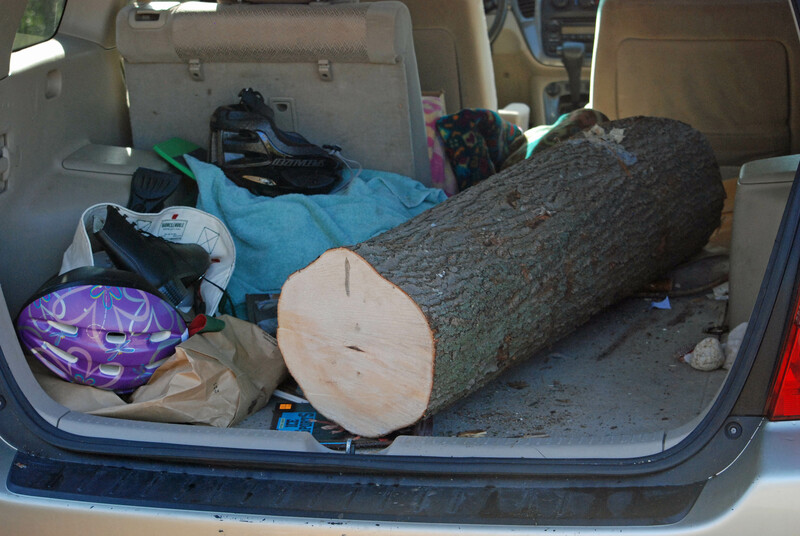 I had a nasty accident a couple of years ago when a quartered log pop upwards after set inside my pick up truck–truly one of the most painful things I’ve ever experienced. Also homeowners can go either way in terms of allowing a “stranger” on their property due to the obvious things like injury and insurance. So while I sound a little cautious, I can I give a good plug to craigslist because you’ll find a lot of logs there and tree crews advertising. Also it’s probably a good idea to mention that our concept of green is relative. 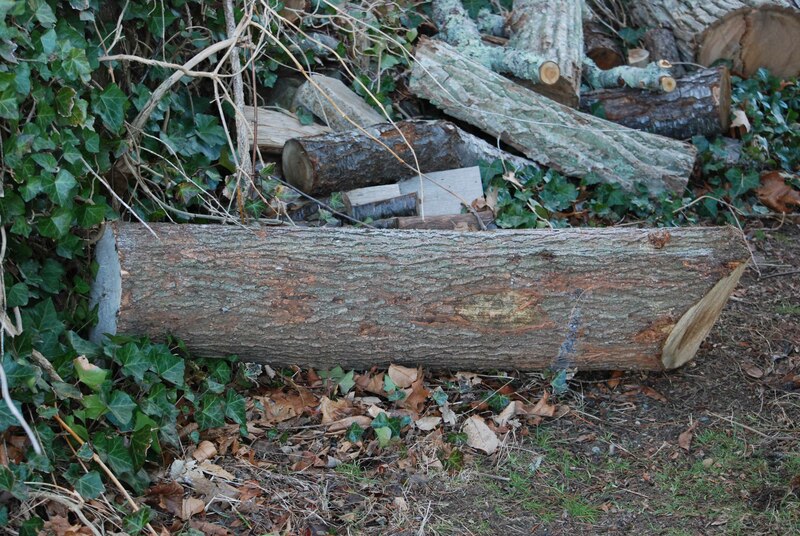 I have picked up logs that of been cut two years ago that still have plenty of good lumber inside–provided it’s dry. I can just imagine homeschooling at The Follansbee Institute for Applied Science. “Today children, we will determine the effects of an inclined plane applied to the end grain of a short oak log”. Peter, do you know of any woodsmen here in central Ma that may come across black Walnut? I am interested in acquiring a couple of logs and have my own sawyer to custom cut it. I’m afraid I don’t know loggers here or elsewhere; I have bought logs at sawmills before…might be a place to start. I am really glad that you share this information with us.